Synopsis: Mrs. Voorhees is dead, and Camp Crystal Lake is shut down, but a camp next to the infamous place is stalked by an unknown assailant. Is it Mrs. Voorhees’ son Jason who didn’t drown in the lake some 30 years before? My Quick Review: Since I was quite disappointed while re-watching the first Friday the 13th, I had lower expectation getting into the first sequel. But Friday the 13th Part 2 is actually a better film. Steve Miner takes the director role this time and he shows more skills than Sean S Cunningham whose direction was more tv-like. As a result, Friday the 13th part 2 got more thrills than the original movie and better kills too (who can’t remember the spear death as well as the machete kill). It does help as well, that the heroine in Part 2 is played by Amy Steel, who can actually act and we also get so see Jason for the first time as the titular killer (albeit with a paper bag on his head, not yet his iconic hockey mask). And, the last 20 mn or so of the movie, a lengthy chase through the woods/cabins, are extremely efficient and nerves cracking. 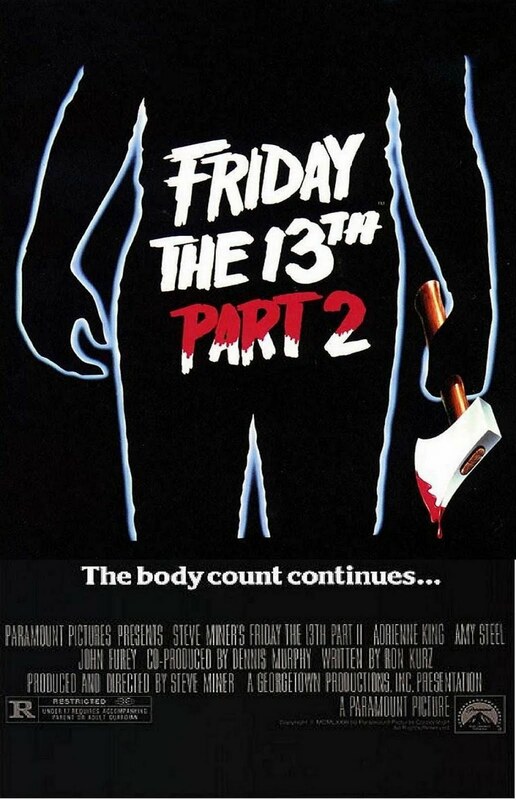 While the set-up is the same, as it will be in most of the other sequels, Friday The 13th Part II still stands as an important entry in the series, with probably the best use of the score/music and location (starting with Friday part III, there will be an overuse of studio sets instead of natural location) and some of the best deaths. 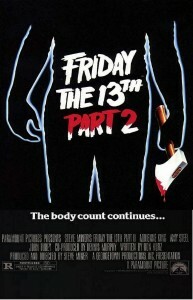 Click Here to Own and Watch Friday the 13th Part II now!